Etisalat has taken competition higher with the introduction of the cheaper Etisalat Night Browsing on the Easy Cliq Plan. 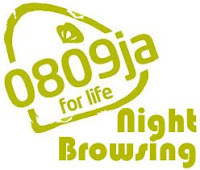 The previous Etisalat night plan cost N200 for 1GB but it was not popular among subscriber and because of that, this new night plan has been introduced which cost only N50 for the 500MB plan and the night data time is from 12 midnight to 5 am each night. The night plan works on Android, iOS, PC and other internet enabled devices and is offered to subscribers only on Etisalat Easy Cliq tariff plan. 1. This works only for Easy Cliq, if you are not on the tariff plan, migrate to Etisalat Easy Cliq by dialing *244*1# on your Etisalat line. The data rate is very affordable and you and you can use it to stay current with the released of your favorite series episode or apps update while preserving your day time data.